The truth is, diligent brushing and flossing can’t protect your smile from all the problems it could encounter over the course of your life. 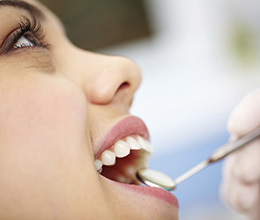 You also need the skilled support of a dental team that takes your health, safety, and happiness to heart. Dr. Shiloh Lindsey and her dedicated staff here in Ft. Collins, CO rely on the latest in preventive dentistry techniques and technology so that you and your loved ones can enjoy confident smiles for years to come. We strongly recommend that patients attend one in-depth dental exam and teeth cleaning with our team typically every six months. Our Ft. Collins dental team prides themselves on being truly exhaustive when it comes to your oral health; with the help of state-of-the-art digital X-rays and other technology, we’ll create a complete picture of your teeth, gums, jaw, and other significant areas so that even the smallest areas of decay or damage can be identified and treated effectively. Once this process is completed, you’ll undergo an in-depth professional cleaning with one of our trusted professional hygienists, who will remove potentially dangerous plaque and tartar and leave your teeth feeling fully refreshed. Are you about to attend your first appointment here at Aspen Dental Care? Take a look at our First Visit page to learn more about the extra steps we’ll take to learn about you and your oral health. Several back teeth have pits and grooves that can easily trap food particles and bacteria. These areas can be difficult to properly clean over time, especially for children and teenagers. Thankfully, dental sealants from Dr. Lindsey can add a valuable extra layer of protection to these teeth and decrease their chances of getting cavities. The process is simple – we paint the thin plastic resin directly onto your teeth, and it hardens once bonded with your tooth enamel. Sealants are able to withstand regular brushing and flossing, and they should last for years. While we most often recommend them for younger patients, there may be cases where dental sealants could benefit adults as well. Contact our Ft. Collins, CO dental office today to schedule your first appointment! We can’t wait to welcome your entire family as new members of our oral healthcare home.